Residents of Center and Winfield Townships are eligible to receive a free library card. Applications may be filled out at the Circulation Desk at the Crown Point Library and the Winfield branch. Adults, age 18 and over, need to provide proof of address and a photo ID. Proof address can be a rental agreement, bill, or checkbook with your local address on it. Proof of ID can be a state issued ID with current address, Passport, Military ID, Official School ID, or Matricula Consular. Minors, age 17 and younger, require a parent’s signature on the library card application. 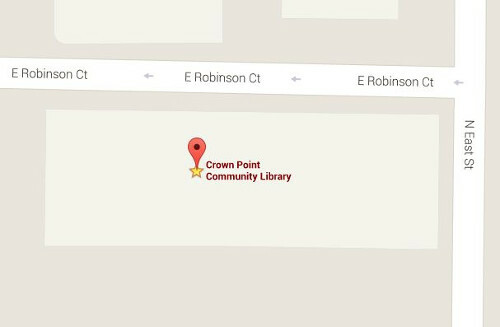 Teachers in the Crown Point Community Library service area may apply for a Teacher’s Library Card. Proof of current employment in a school within the library service area is required. A current pay stub or official school ID is acceptable. 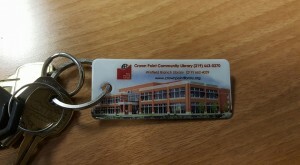 The Crown Point Community Library card is accepted at all Indiana libraries that participate in reciprocal borrowing. This includes all libraries in Northwest Indiana. 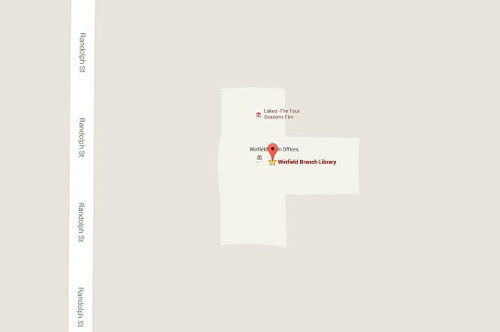 All reciprocal partner libraries require that patrons are in good standing with our library before they will issue you a reciprocal library card for their library. Persons from other library districts may receive a CPCL library card after filling out an application and if their account is in good standing with their home library. More information is available at the Circulation Desk. Reciprocal Borrowers have the same library material borrowing privileges as a Crown Point Community Library borrower except for e-book and downloadable audio borrowing.